Team Bath Netball legend Pamela Cookey returned to the University of Bath Sports Training Village this week for a very special ceremony. The former England captain, who won five Superleague titles in Blue and Gold between 2006 and 2013, became the latest inductee into the University’s Hall of Fame for Sport. Cookey, a graduate of the University, was presented with the award by Director of Sport Stephen Baddeley and joins names such as Olympic and Paralympic medallists Jason Gardener, Amy Williams, Heather Stanning and Ben Rushgrove in the Hall of Fame. The prolific shooter was first spotted as a future star at an early age and transferred to Millfield School so that she could access the Team Bath netball programme. Team Bath’s current Director of Netball Jess Thirlby said: “Pam has been a huge part of my own netball journey, firstly as a team-mate, friend and latterly in a coaching role. A precocious talent, Cookey would have made her Commonwealth Games debut as early as 2002, aged 17, but for a knee injury. She went on to have an illustrious career with England, having previously represented her country at U17 and U19 level, and won 114 senior caps – several of them as captain – before retiring from international duty in September. Cookey won bronze medals at the 2011 and 2015 Netball World Cups, as well as the 2006 and 2010 Commonwealth Games, and helped England record a historic 3-0 Test series win against Australia in 2012. 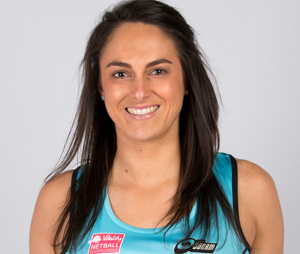 She has also played in the world’s top league – the ANZ – for Northern Mystics of New Zealand and currently plays for Surrey Storm, with whom she won a sixth Superleague title last year. “Pamela was a star in the ANZ league,” said former Team Bath Director of Netball and New Zealand netball captain and coach, Lyn Gunson – herself a member of the Hall of Fame for Sport. While playing in the Blue and Gold of Team Bath, Cookey was always keen to support the University and the netball franchise with multiple appearances and school visits.